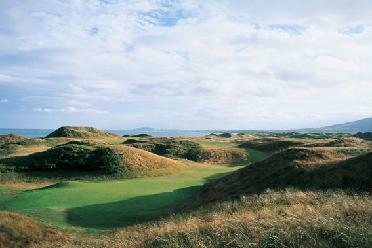 The European Club is often regarded as a modern links course. The layout features firm fairways winding through massive dunes to large, undulating greens, encouraging a bump and run style of play. Bunkers, gorse and tall grass are plentiful, but there are no blind shots. 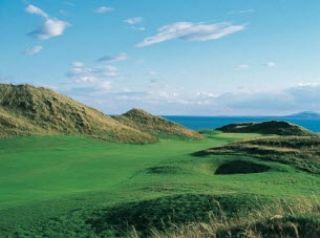 Scenic views of the Wicklow Hills and the Irish Sea can be seen from every hole, making for an extremely enjoyable golfing experience.